The University of the Sunshine Coast Quidditch League was founded in May 2014 and has evolved into a network of ~60 quidditch players of all skill levels, and their supporters. Through the league, a rich tapestry of friendships has been forged, and newcomers are always welcome. The league currently consists of six teams who compete weekly in matches fuelled by friendly on-field rivalry, in two intra-university tournaments per year. 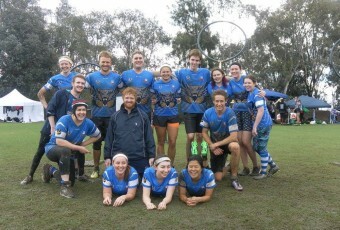 These teams are the USC Thestrals, USC Nargles, USC Phoenix, USC Death Eaters, USC Basilisks and USC Greybacks. From these teams, the strongest players are selected to form the representative team, the USC Dementors. In their short careers, the Dementors have competed in the inaugural Unibattle tournament in 2015, bringing home silver and breaking a record as being the first Queensland team to ever beat an interstate team at a national level. The Dementors competed in their first QUAFL in December 2015, entering the tournament unranked and leaving in tenth place out of nineteen teams, gaining a lot of experience in the process. 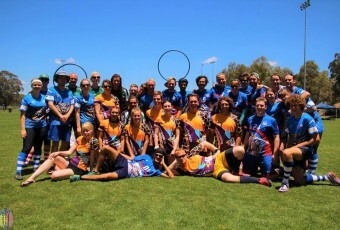 By the end of 2015, the USC Quidditch League had attracted interest from Brisbane players, with several members travelling an hour each way to play every week. These links have also created a channel for broader tournaments, with the creation of the South East Queensland Cup, a tournament that is held several times a year. Members of the Dementors are currently in the process of working with Brisbane based players to establish a Queensland Association of Quidditch. The USC Quidditch League hold games every Wednesday evening from 6pm on Rugby Field 1 at USC Sippy Downs. All are welcome to watch, play and make some great friends!